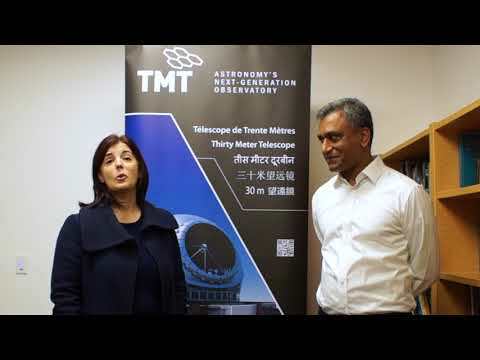 To foster global collaboration in science, engineering and education, the Thirty Meter Telescope and the County of Hawaii are co-sponsoring a 4-day international education summit from July 23 through 26, 2013 at various locations at UH Hilo and the 'Imiloa Astronomy Center. Modeled after the acclaimed Ritsumeikan Japan Super Science Fair and the International Student Science Fair, the Pacific Astronomy and Engineering Education Summit will feature high school students from India, China, Japan, Canada and Hawaii Island. Not coincidentally, the Thirty Meter Telescope partner countries include China, Japan, India, Canada and the United States. Participating high schools include Connections Public Charter School (Hilo), Hilo High School, Honokaa High School, Kamehameha School (Keaau), Ritsumeikan High School (Kyoto, Japan), Senri High School (Osaka, Japan), Shawnigan Lake School (British Colombia, Canada), The Shri Ram School (Aravali, India), The High School Affiliated with BeiHang University (Beijing, China) and Waiakea High School (Hilo). The summit will include student science presentations, cultural presentations, workshops by astronomers and educators, team problem solving activities and trips to the Onizuka Visitors' Center at Hale Pohaku with the UH Hilo Astrophysics Club and Hawaii Volcanoes National Park. Presenters and speakers at the summit include Thirty Meter Telescope Associate Project Manager Ravinder Bhatia, TMT Hawaii Community Affairs Sandra Dawson; Imiloa Astronomy Center Executive Director Ka'iu Kimura; 'Imiloa Astronomy Center Navigator in Residence Kalepa Babayan; Office of Mauna Kea Management Executive Director Stephanie Nagata; Janet Babb, USGS Hawaii Volcano Observatory; Dr. Saeko Hayashi, Subaru Telescope; Peter Michaud, Gemini Telescope; Dr. JD Armstrong, University of Hawaii Institute for Astronomy; Dr. Rob Wright, Hawaii Space Grant Consortium, ; Dr. Paul Coleman, Institute for Astronomy, Waiakea High School Science teachers Dale Olive and Tom Murphy; and Pisces (Pacific International Space Center for Exploration Systems Test Operations Manager) Christian Andersen. The post summit itinerary concludes with home stay experiences for overseas students with Hilo High and Waiakea High School families. Community support an cooperation includes University of Hawaii Hilo, 'ImiloaAstronomy Center, Subaru Telescope, University of Hawaii Institute for Astronomy, Hawaii Space Grant Consortium, Gemini Telescope, KTA Super Stores, Office of Mauna Kea Management, USGS Hawaii Volcanoes, Waiakea High School Robotics, UH Hilo Astrophysics Club, ARTEC Educational, PISCES, Creative Arts Hawaii, Hilo Hawaiian Hotel, Jacks Tours, Hawaii Island Economic Development Board and the University of Hawaii Foundation. The Pacific Astronomy and Engineering Education Summit is coordinated through the Hawaii Space Grant Consortium. TheHawaii Space Grant Consortium is developing an educational foundation of scholarship, research and exploration enabling the scientists and engineers of the future. Its members include University of Hawaii Manoa, University of Hawaii Hilo, Hawaii Community College, Honolulu Community College, Kapiolani Community College, Kauai Community College, Leeward Community College, University of Hawaii Maui College, Windward Community College and the University of Guam.